Use of the right overlay on top of an existing mattress is a cost-effective way of protecting patients at high risk of pressure ulcers without having to replace an entire mattress. In a care home environment, this is far more convenient than having to change mattresses for each new patient. 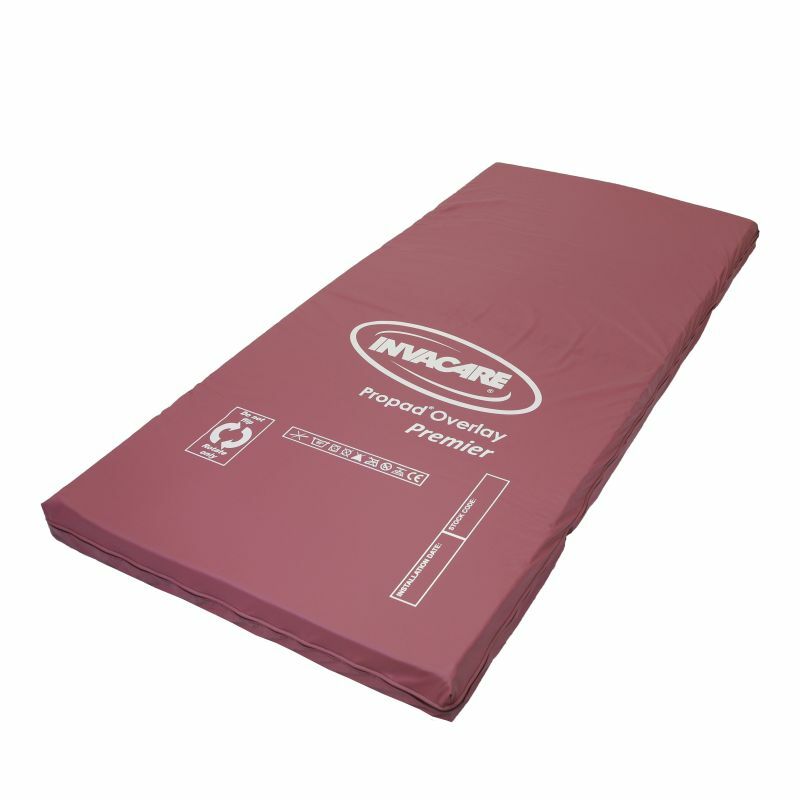 The Invacare Propad Premier Mattress Overlay is an ideal choice, as it not only provides pressure sore protection for those at high risk of ulcer development, but it can be folded up and easily stored when not required as well. When pressure relief mattresses are not in use, they can often take up valuable storage space in a care environment. This overlay features a unique foldable design, ensuring it takes up as little space as possible when not in use. It folds to 1/4 its full size, providing excellent space savings. This overlay conforms to the shape of the user's body with geometically-cut foam cells, allowing each section to move independently with the patient. Larger cells are used in the centre of the mattress for full support, while smaller cells are situated on the outside for even weight distribution. This design helps to reduce both friction and pressure, contributing to the pressure relieving qualities of the overlay. Hygiene is always a primary concern when it comes to pressure relief products, so it's crucial this overlay is supplied with a protective cover. The cover of this overlay is multi-stretch, allowing for full patient comfort, and also water-resistant to protect the inner foam from spills. The materials are also vapour-permeable, allowing air to flow beneath the patient to prevent overheating and moisture.